Swinging through tombs, jumping into dark caves and discovering rare artifacts, Indiana Jones has a way with luck that surprises many people. Because of these characteristics, you’d expect someone like Indy to find something as culturally important as the Rosetta Stone. However, this Indy-worthy find was actually made by a French solider in 1799. Pierre Bouchard, who was simply trying to increase the size of a French fort in Rosetta, Egypt, stumbled upon the Rosetta Stone. It was located in an old wall that was being demolished for the expansion of the fort. Fortunately, the commanding officer recognized its importance and extracted the piece. 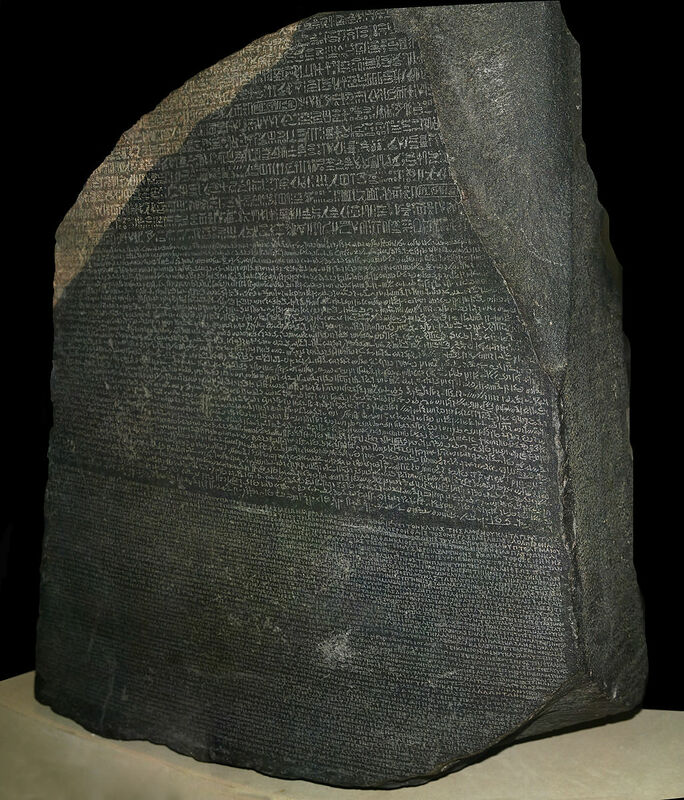 At the time of its discovery, Napoleon, the emperor of France, was invading Egypt, so the Rosetta Stone was claimed as French property until 1801. Soon after its discovery, the British defeated the French and claimed all of their important cultural artifacts. Since 1802, the stone has been held in the British Museum for viewing.